Alice in Wonderland is one of my favorite books, and I’m always down for Wonderland expansions, retellings, fanfics, I’m here for it all. 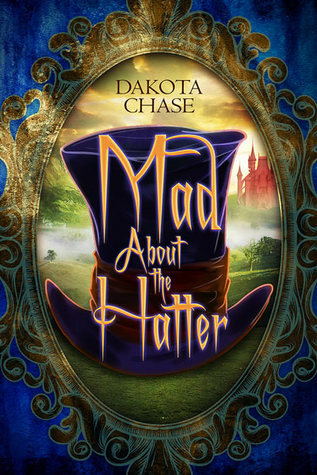 Mad About The Hatter by Dakota Chase was a ridiculously fun entry into the genre. I needed a change of pace from my normal romance reads, so when I found this book on Audible, I was immediately intrigued. With one of my favorite narrators, Joel Froomkin, performing this story, I was pretty sure it was going to be a win for me. And a win it was! This story felt true to the Wonderland experience, and it was a joy to revisit characters I’ve loved for so many years. With plenty of giggle-worthy moments, Hatter & Henry’s journey was captivating and confusing, their burgeoning romance adorable, although I would have liked to see more of them falling for one another. The narration was stellar and added so much to this story. Each of these quirky characters was unique and expertly portrayed, making this story really come alive. Wholly entertaining, this story was just what I needed in my reading life right now. Now I need a sequel with Hatter’s next adventure!